Revellers eager to take the perfect selfie at Disney’s iconic theme parks will now need to turn their selfie-sticks in at the gate. Walt Disney World is banning selfie-sticks from its theme parks - citing safety concerns as the reason for the ban. Revellers eager to take the perfect selfie at Disney’s iconic theme parks will now need to turn their selfie-sticks in at the gate. Previously, the sticks were prohibited from rides, and "no selfie-sticks" signs were posted at select rides for safety reasons. But selfie-stick wielders continued to haphazardly whip out their meter long sticks on rides causing management to relook at the park rules. Last week at the Disney California Adventure park, a roller coaster was halted after a passenger pulled out a selfie-stick, causing the ride to be closed for an hour. "We strive to provide a great experience for the entire family, and unfortunately selfie-sticks have become a growing safety concern for both our guests and cast," says Disney World spokeswoman Kim Prunty. The ban kicks in on 30 June, 2015 at Walt Disney World in Florida and Disneyland in California, along with other Disney-run theme parks in the USA. The ban goes into effect at Disneyland in Paris and Hong Kong Disneyland on July 1, 2015. Once the full ban takes effect, visitors will be forced to check their selfie sticks at the main entrance but signs in the parking lots will encourage them to leave them in their cars. 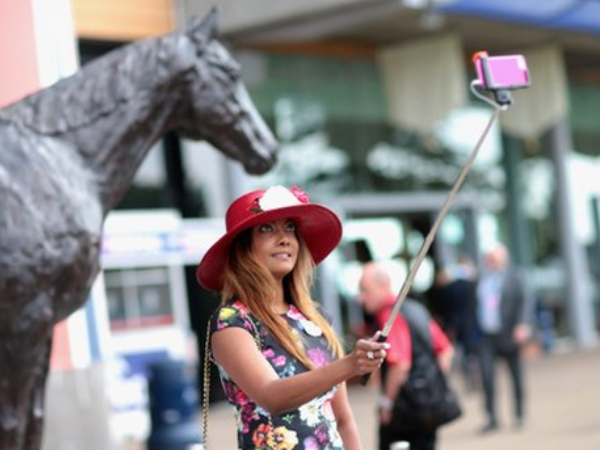 Selfie sticks are already banned at The Wimbledon Championships, English Premier League soccer stadiums, the New York's Metropolitan Museum of Art and the Palace of Versailles, among other places.